10 Beautiful Shibori Kurtas - You'll Fall In Love! Shibori is a Japanese dyeing technique dating back to the 8th century. Remember that indigo tye-n-dye kurta Deepika wore in Chor bazaari that became a rage? 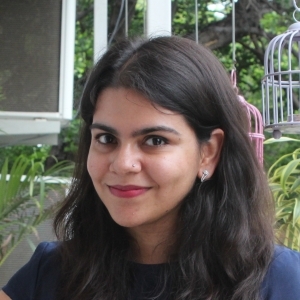 :-) From the streets of Mumbai to Sarojini to every retail outlet, it was everywhere! That’s Shibori print and it’s back again. From dresses to kurtas and palazzos, this colourful print is taking over everything. 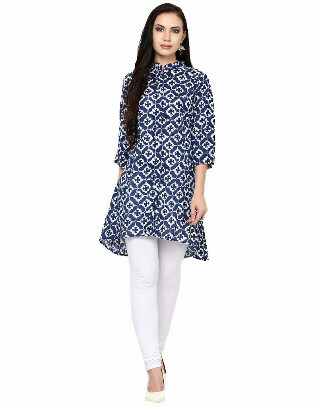 So we have compiled this list of stunning kurtas to flaunt this pattern in style. 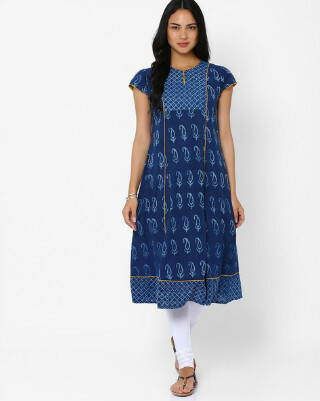 Beautiful indigo colour and the shibori pattern, this kurta is the true essence of what shibori is all about. Pair this beauty with a white sharara or simple palazzos, along with your silver jhumkis, and you’ll shine wherever you go. Price: Rs 2,290. Buy it here. With this lovely kurti, all you need to do it add a pair of jhumkis, heavy kohl and bright kolhapuris for that finishing touch. College, work or a family function - you’ll stand out wherever you go. Price: Rs 750. Buy it here. This beautiful purple kurti will take you through any formal meeting and functions where you don’t want to go all ethnic. Pair this with your favourite skinnies or go more formal with loose black cotton pants. You’ll look oh-so-chic. Price: Rs 1,799. Buy it here. Look at the different hues of blue in this one. How gorgeous would you look wearing this at the next family dinner. Pssst.. the best part is that you can even wear this as a dress. So much win! :-D Price: Rs 2,190. Buy it here. Price: Rs 1,439. Buy it here. 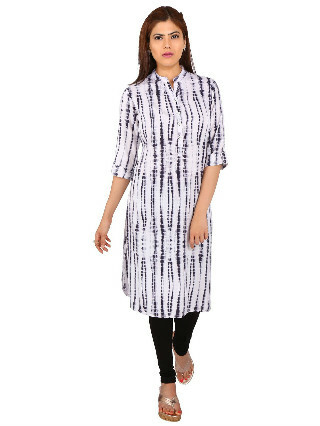 This casual black and white shibori kurta is fun, chilled out and SO summer-y. Pair it black lycra tights or a white churidar and feel cool throughout the day. Price: Rs 750. Buy it here. Our favourite on the list, this beautiful asymmetrical kurta is just so stunning that we think you just found your attire for Rakshabandhan. Don’t miss the cute tassels on the side. Price: Rs 2,690. But it here. 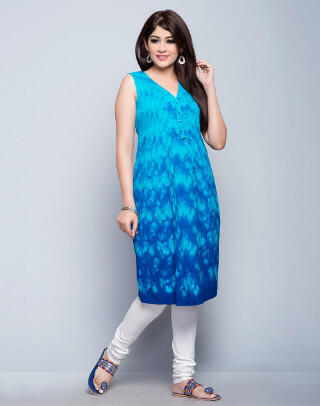 How much fun is this kurta with the typical blue and white shibori print and the red detailing. Wear it with sleek sandals and accessorize with a pair of earrings. Price: Rs 749. Buy it here. 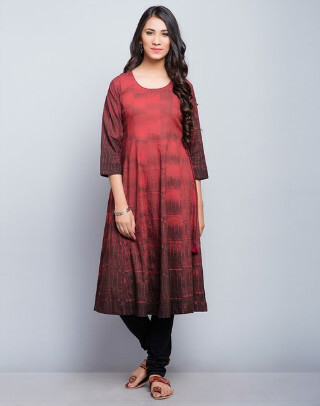 With extremely delicate shibori print on the yoke and the hem, this pretty block print kurta is the answer to all your summer woes. Style it with white tights and a pretty white dupatta and look stunning all day. Price: Rs 1,359. Buy it here.